Allows you to separate your layout into different power districts meaning you can run even more locomotives on your digitally controlled layout, as well as being an upgrade that allows you 8 amps of power. This should be plenty of power for large domestic and even club layouts. 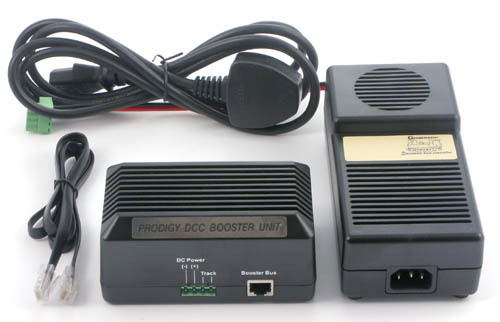 This unit comes complete with DCC booster, 8 amp transformer, mains cable and controller cable.